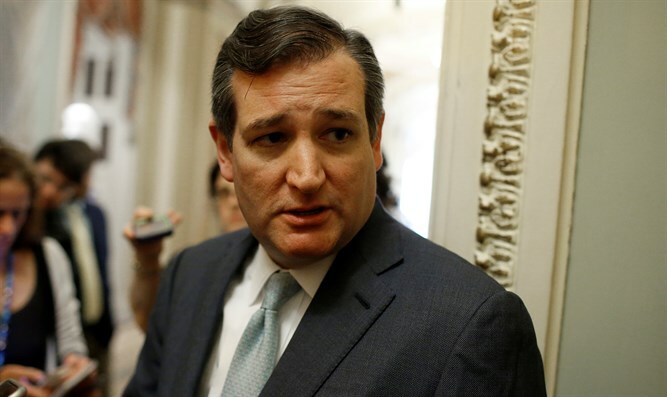 US Senator Ted Cruz issues statement of support for Israel, following latest barrage of rocket attacks. Over 180 rockets have been fired at Israel since Friday. At least 20 of them were shot down by Israel's Iron Dome missile defense system, and at least 73 others fell in open fields. Four Israelis were injured when a rocket hit their home. The IDF responded by attacking dozens of Hamas terror and military targets, including three tunnels, a command center, a military training base, and others. On Sunday morning, the IDF will hold a series of training exercises expected to last through most of the week. In one of these exercises, the IDF will simulate the conquest of Gaza City.